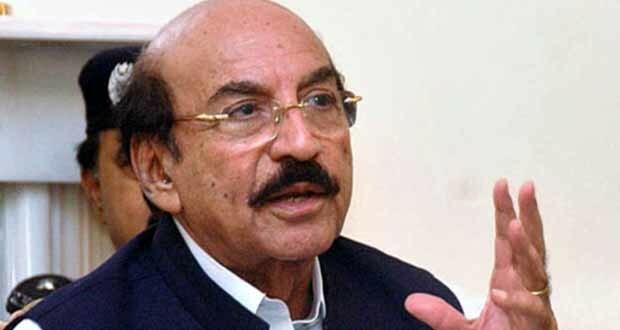 Sindh Chief Minister Syed Qaim Ali Shah has issued directives for framing the next annual development programme (ADP) 2015-16 as promising, pragmatic and public-oriented in which social sector should be given top priority. Presiding over a joint meeting of finance and planning and development departments here at CM House, he said the social sector would be given top priority in the next ADP. He said priority be given to the completion of on-going schemes. The size of the ADP be made according to the availability of the funds. In the next year no schemes would be funded outside the budget. The meeting was told that Rs 1332.611 million scheme of establishment of five Public Schools in Sanghar, Tando Mohammad Khan, Tando Allahyar, Ghotki and Matiari would be completed if Rs 668.414 million are released in the beginning of next financial year. CadetCollege for Girls at Shaheed Benazirabad was launched with Rs 1888.784 million in 2008 for which Rs 113.099 million have been allocated this year. If Rs 1.19 billion are allocated in the next financial year, the scheme will be completed as the chief minister has approved the proposal. Rs 1595.460 million scheme of establishment of SindhCollege of Arts & Design at Sukkur was launched in 2013 and is scheduled to be completed by June 2017. Rs 25 million have been utilised on the scheme and this year its allocation was Rs 40 million. About establishment of BilwalBhuttoEngineeringCollege at Lyari, the meeting was told that Rs 56.550 million has been arranged for the current financial year. The chief minister directed that Rs 1843.589 million should be allocated for its completion. World Bank-assisted Sindh agriculture growth project has been launched in 11 districts for Rs 8867.5 million. It is a five year programme to be completed in 2018. The districts where it has been launched include Hyderabad, Thatta, Sukkur, Khairpur, Larkana, Mirpurkhas, Umerkot, Sanghar, Matiari, Jacobabad, Shikarpur and Jacobabad. Another World Bank assisted programme – Sindh agriculture productivity enhancement programme phase-1 – is being launched for Rs 3367.390 million. Under this programme, yield of cash crops such as dates, chilies and some other crops would be improved by employing scientific methods. For Rs 5 billion schemes ‘development of 50,000 townships in major urban centers by providing 120 square yard plots with all civic facilities Rs 1.09 billion has been allocated during the current financial year. The chief minister asked to complete the ‘computerization and establishment of land administration and revenue management information system (LARMIS) scheme by June 2015.